When it is frosty out and the temperature drops most conventional concrete plants that deliver in drum mixers freeze up and cannot produce concrete until they are thoroughly defrosted, which can take most of a day. With the mix on site wagons (volumetrics) we do not have this issue as we keep the wagons inside so the materials and wagon are protected from the elements. This means we are able to come in and get straight to work delivering quality assured concrete in Harrogate. 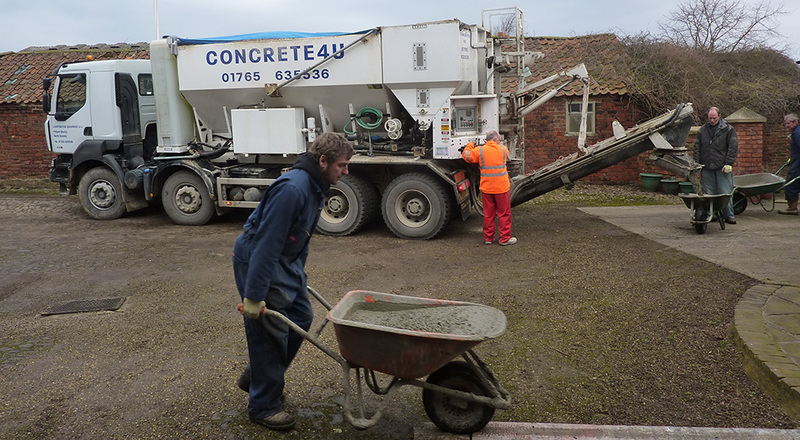 We always think how nice it would be if we could protect concrete from damage from frost in the same way we ensure our wagons and the raw ingredients are…well here at concrete4u we can produce what we call winter concrete. This is concrete made with a high cement content which can be used for all kinds of external applications and due to the high early strength of the concrete it has an improved chance of coping with harsh winter weather. Part of the issue with concrete cracking in the winter can be down to how it is laid so have a look at our frequently asked questions page for advice on laying concrete! 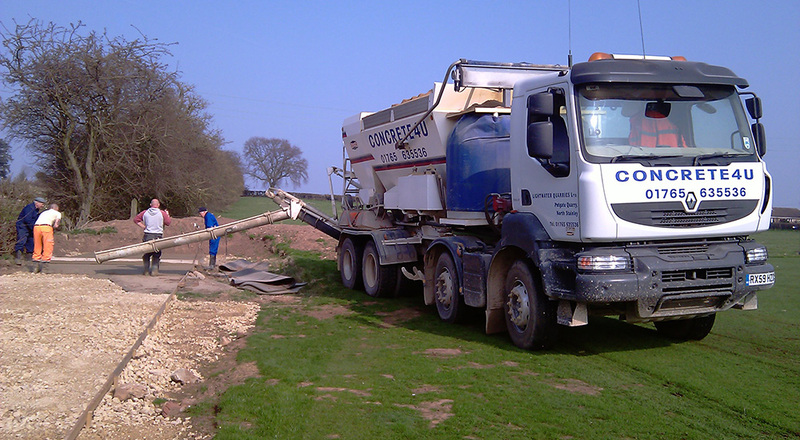 So…with quality assured concrete made to British standard specifications we are able to produce and supply concrete all year round…whatever the weather!